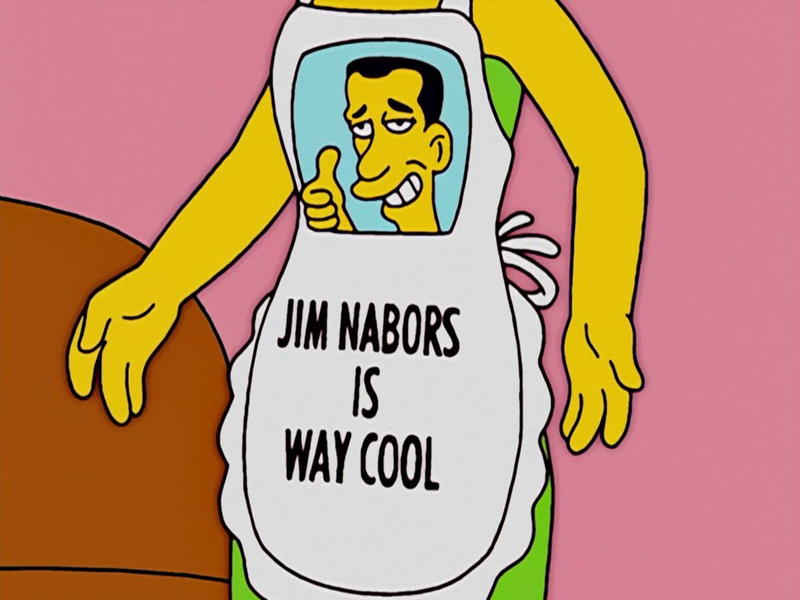 Jim Nabors is an American actor and singer. He was seen on Marge Simpson's apron. Modified on November 7, 2018, at 18:01.